Guest rooms feature one king with queen pullout sofa bed or two queen size beds with comfortable sitting area and fireplace. Luxurious bathrooms offer both oversized tub and separate shower. 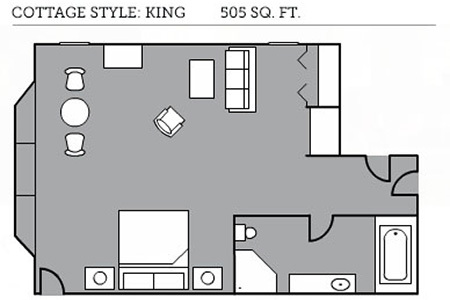 Accommodation offers over 500 square feet of living space.